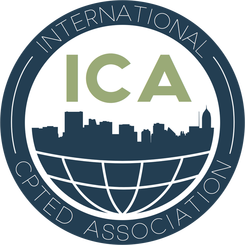 The International CPTED Association (ICA) supports local organizations, practitioners and communities that utilize CPTED principles to create safer communities and environments. Crime Prevention Through Environmental Design (CPTED) (pronounced sep-ted) is defined as a multi-disciplinary approach to deterring criminal behavior through environmental design. CPTED strategies rely upon the ability to influence offender decisions that precede criminal acts by affecting the built, social and administrative environment. The physical aspects of CPTED are by some jurisdictions around the world also referred to as Designing Out Crime or Safer by Design. Click on the logo to read more about the ICA.